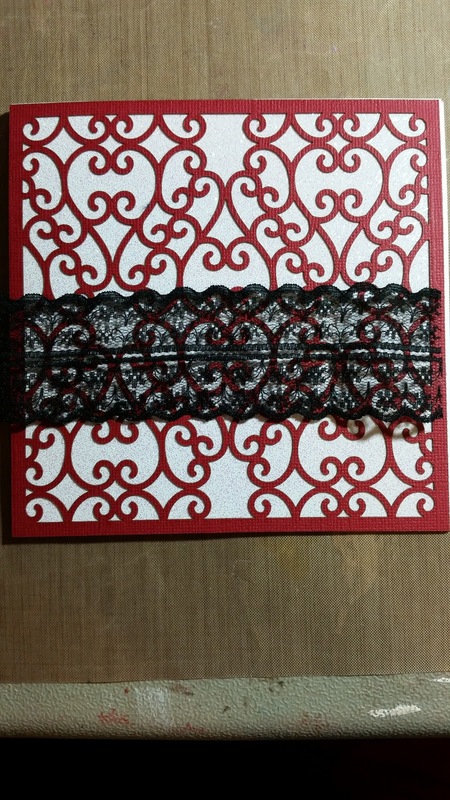 Chris here and today I am sharing this card I created using Sin City Stamps new overlays! 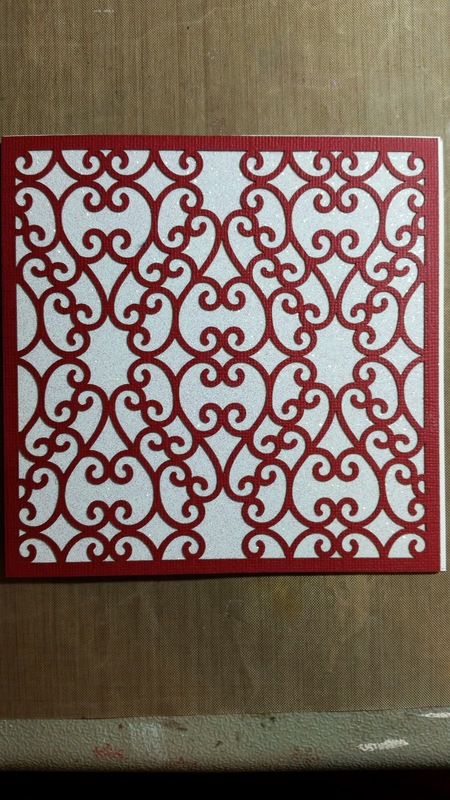 I started by creating a card base from a 5 1/2 x 11 inch piece of white card stock. 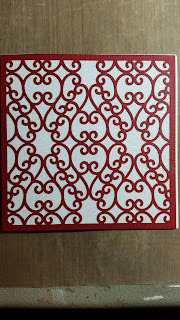 I then cut a 5 1/2 inch square from Doodlebug Glitter Card stock. I then added the scroll overlay over the gillter card stock. I did use Spray Adhesive to adhere the overlay since getting things to adhere to the glitter card stock can be difficult. 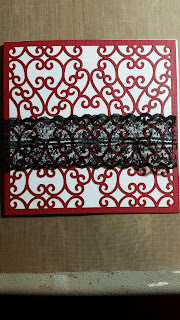 I added Sin City's Double edged Black Lace. I then added a paper doiley. I cut a greeting block from Authenique and wrapped twine around the block, tying on a heart key charm. I then added some die cut flowers topped with jewels! Here is the final project again!